I have been to New York for meetings in connection with running OKeh Records and enjoyed as always seeing artists and / or their managers. For one afternoon we got an invitation to a music salon held in a private apartment with students of the Berklee School of Music performing with their teacher, Javier Limon, giving a focus on artists and the music from the Mediterranean countries, plus musically related countries such as India. Those students were Shilpa Narayanan (voice, India), Eleni Arapoglou (voice, Greece), Tali Rubenstein (recorder, Israel), Tal Even-Tzur (piano, Israel), and Layth Sidiq (violin, Iraq/Jordan) and their music was inspiring and beautiful and crossed borders culturally and musically and still became one. Fascinating. The only other act I had a chance to see while in New York was singer Karrin Allyson, who performed with her regular band at the Birdland for two nights only. Karrin is an immaculate singer and a accomplished pianist and is best in interpreting the American Songbook. Recently she seems more confident in performing her own songs and the few examples she sang on the night are proof that she is a very capable writer. There is nothing better than a singer performing her own songs, based on personal experience and emotions, the audience will feel immediately that this comes from a deeper personal source – therefore her own songs for me were the highlight of the evening in an overall great performance, which only suffered when she sang in Portuguese. That didn’t work for me at all. Back in Spain and another encounter with Berklee – this time at the Valencia campus: very deserved bass player and educator Eddie Gomez was given an honorary doctorate, the first the new campus ever awarded, in a ceremony that highlighted the career and music of Eddie as well as showcasing him with teachers and pupils of the school in a beautiful concert. Impressive the quality of the young musicians, coming to Berklee in Valencia from all over the world. Great to see how eager they were to learn from a master like Eddie Gomez, who showed all the improvisational skills that made him such a force in the Bill Evans trio and with all the other musicians he played with. 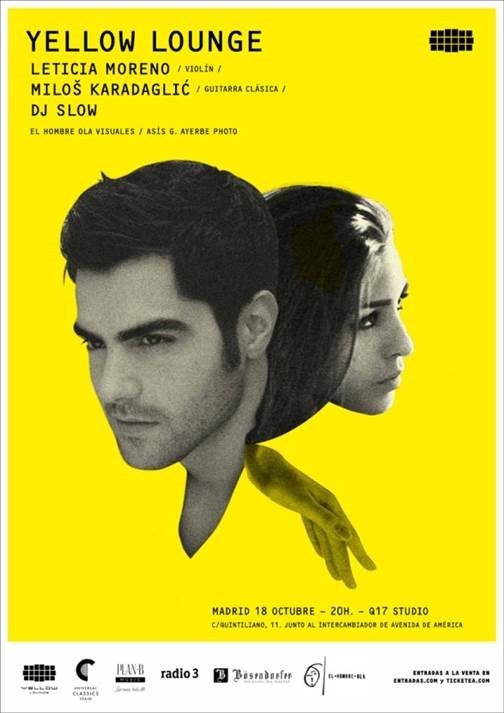 Friday, October 18th saw the second Yellow Lounge arranged by Universal Music in Madrid – DJ Slow, which is none other than our friend Alex Sanchez and the classical musicians Letiticia Moreno (violin) and Milos Karadaglic (guitar) performed in the room of Studio Q17, which was fitted with a huge screen for the video improvisations and a perfect place for the event. Both artist performed extremely well and were both received with great enthusiasm by a young audience. A very enjoyable and unique evening. 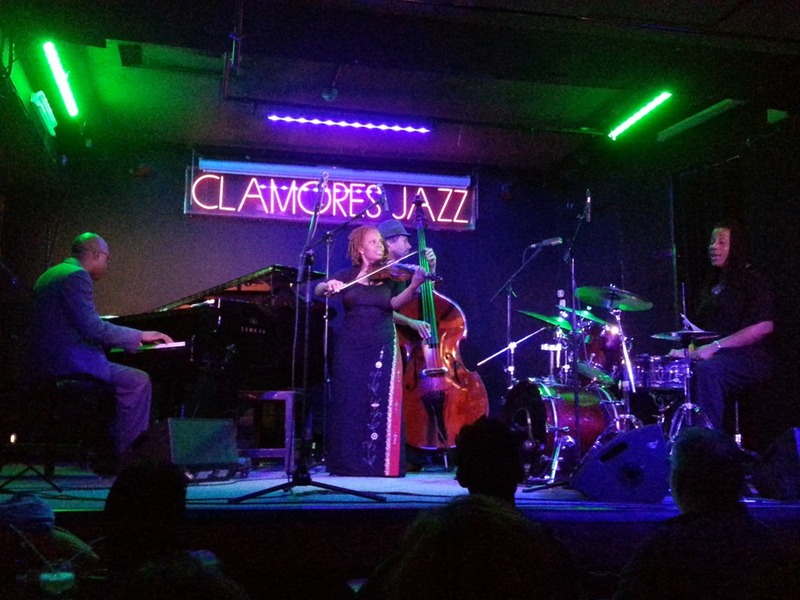 Next up was Regina Carter in Madrid’s Clamores jazz club. What a great band she got and how together these three amazing musicians played! Performing repertoire from her last album Reverse Thread, her trio of Xavier Davis (p), Jesse Murphy (b) and Gayelynn Mckinney (dr) supported the violin virtuoso to perfection. As great as the group was, the highlight of the evening was a beautiful and touching rendition of Billie Holiday’s Don’t Explain by just Regina and her pianist Xavier Davis. At a later stage trumpeter Jerry Gonzalez made a brief guest appearance, which didn’t add anything to the quality of the evening, but was a nice gesture to the elder musician, who was in the club. Finishing a great evening off was a moving version of Amazing Grace, that let the audience wanting for more. 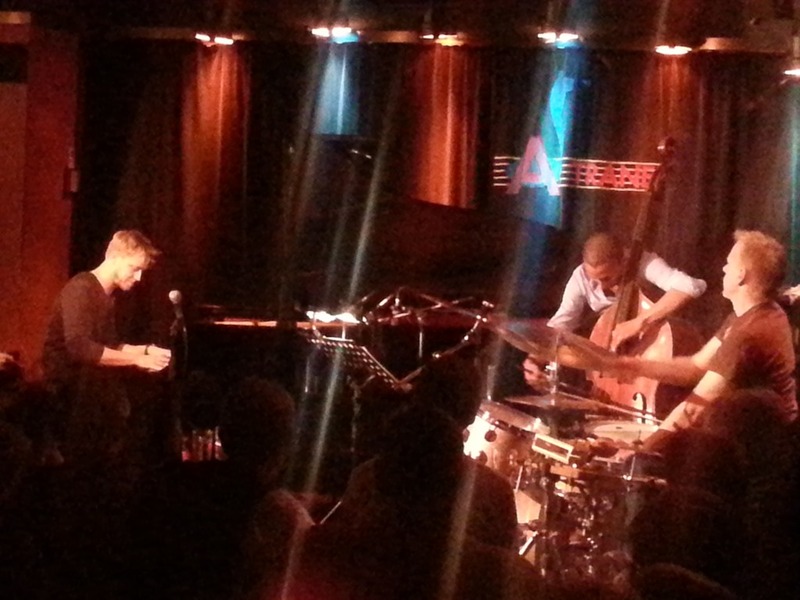 The day after I had quickly to go to Berlin for meetings and took the chance to see the Tingvall Trio at the A-Trane, Berlin’s leading jazz club. I had heard a lot about the Trio before, but never seen them live – something I am not going to miss again if I get the chance – this was probably the best piano trio I have seen and heard since e.s.t – wonderfully inventive, powerful and surprising – great compositions and a trio that is tight and close musically. Martin Tingvall (p) found in Omar Rodriguez Calvo (b) and Juergen Spiegel (dr) the perfect partners for his musical journey. Worth checking out! !